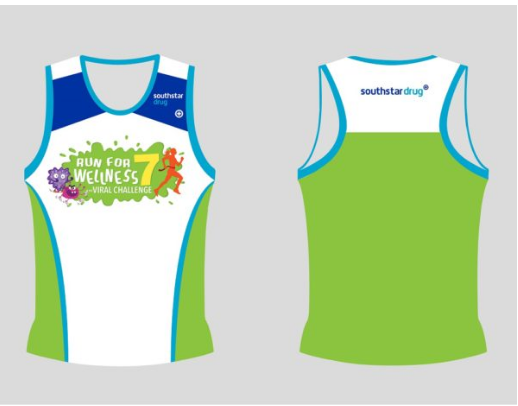 Run For Wellness 7: The Viral Challenge 2016 | JustRunLah! Run For Wellness 7: The Viral Challenge 2016 will be on September 11, 2016 at Metro Naga Sports Complex, Naga City, Camarines Sur. 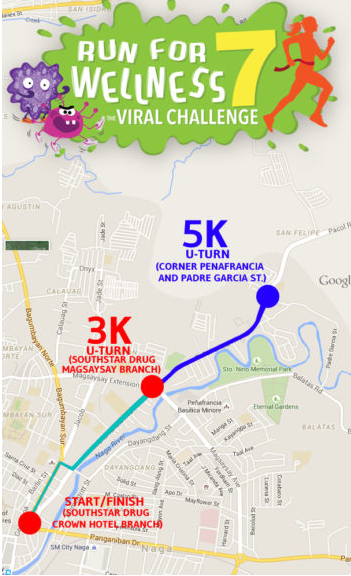 South Star Drug Run for Wellness: The Viral Challenge. The Viral Challenge is a fun run event where participants need to save their “lives” from viruses that will attempt to steal their lives as they run to finish their chosen course. At the start of the race, participants will be given a belt with 3 flags attached to it representing their health. These flags are what the viruses will try to steal from the participants during the race. Runners who finish their course the fastest and with “lives” to spare shall win the race.